That page is especially problematic if you don't have a keyboard because there is no way to refresh/reload the page if the network starts working again. 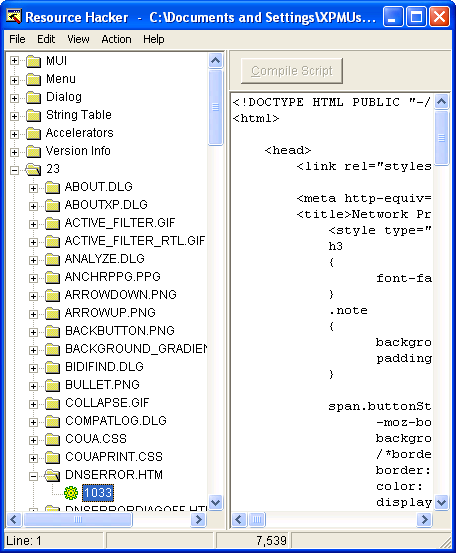 Download a Resource editor such as Resource Hacker. I read that it is possible to edit .mui files using VisualStudio, but after about a half hour of fail, I found Resource Hacker and it did it quite easily. Grab a copy of your kiosk's ieframe.dll.mui file (found under C:\Windows\system32\en-US\) and stow it away for backup purposes. Press the "Compile Script" button. Copy the file over to your kiosk's C:\Windows\system32\en-US\ folder. If you're unable to, because the file is in use or similar, just rename the live file (oddly Windows let's you do that) and then copy the file down to that folder. 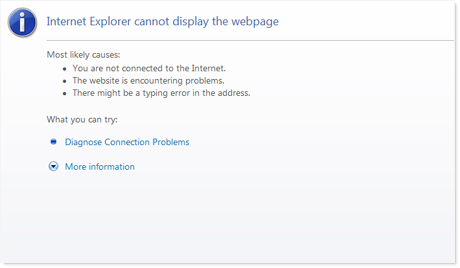 Start IE and kill your network to see the result. Is this a hack? Of course, but it works. We're using an old version of IE, so you're mileage may vary. 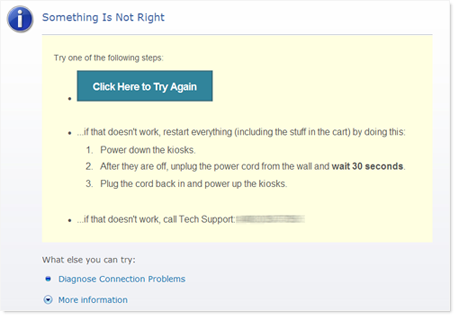 I'd consider switching to Chrome for our kiosks (since you can start chrome in -kiosk mode too) but I can't seem to find any information on how to customize its equivalent error page. Let me know if you've found another way.